Durable powder coat finish and hand Painted eye's. 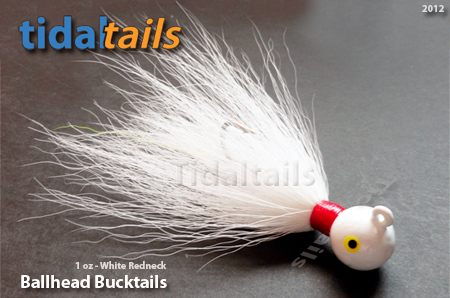 Ball Head Bucktails - Gamakatsu 2x Black Nickel Hooks. 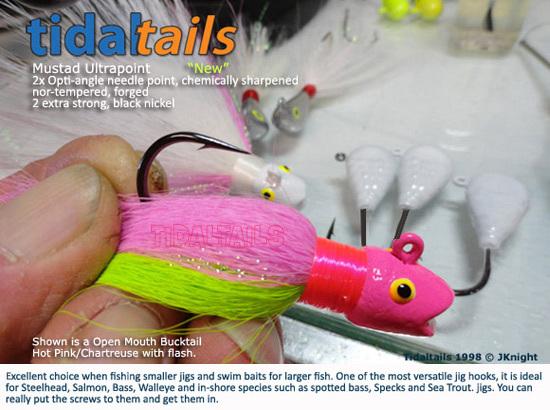 Ball Head BUCKTAILS - With H.D Stout and Sturdy, Mustad 2x Ultra Point Hooks. "NEW"
The exclusive Y6 Digital Braiding® process - produces a tighter braid pattern that won't unwind under the severest conditions. A specially formulated finish protects it from abrasion caused by contact with logs, rocks and debris. Tekota® is a great solution for anglers who troll for both fresh and saltwater species. Great Lakes anglers will appreciate the palm able line counter, and saltwater enthusiasts will appreciate the durability and strength. Quantum's legendary Cabo PTs spinning series are truly world-class. Whether you're fishing the Keys and the Gulf, or charting new territory in the islands of the Pacific, Cabo PTs is built to take on any challenge.